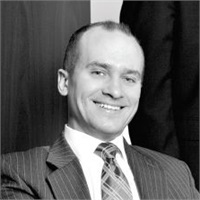 Robert R. Zvonek is Vice President of Midwest Financial Advisors. He is a Graduate of Northwood University where he earned a BBA in Banking & Finance Management. He currently holds both the Series 7 and 66 and is licensed in Life & Health Insurance as well as Variable contracts. Mr. Zvonek began his career with Midwest Financial in 2005 and has focused his practice on helping business owners and individuals in the areas of retirement planning, investment management, cash management, education planning, insurance and estate planning. He looks to competitively offer his clients a long-term commitment to their financial planning needs as well as a disciplined service-oriented practice.